Silent fears, burning guilt, heavy sorrow often fill our hearts. We can feel that we are without hope. We might imagine that God is absent from our lives or that God has forgotten about us. In our uncertainty and vulnerability, we might cry out, "Where in the world is God?” During the Sundays after Epiphany, God’s Word reveals to us that God is exactly where we need him to be—in the person of Jesus Christ. This past Sunday we found God helping us. The following devotion is adapted form Sunday's sermon on John 2:1-11. If you would like to read the sermon in full, simply click on Where in the World Is God? Helping You. So often life seems dominated by the ordinary—classes, homework, practices, traffic, work, traffic, errands, paying bills, doctor visits, taking your meds. Consumed by the ordinary, you might wonder if God really is interested in the daily grind of life, but where do you find him? We find Jesus revealing his extraordinary glory in a very ordinary setting. He doesn't do anything extravagant or obvious or in your face. He doesn’t reveal his glory for the first time by healing the sick or casting out demons or stilling a storm or raising the dead. He simply reveals his glory at a wedding by turning water into wine in a back room with only a few people noticing. In an age that has lost appreciation for the subtle and simple, you might miss what Jesus is doing here. You might miss the subtle beauty of how Jesus revealed his glory. You may even feel a little disappointed that Jesus didn’t do something more impressive. Maybe you forget why Jesus came in the first place. You expect him to help you right now or you forget that he cares about the ordinary and does the extraordinary day after day in your life. There amid our ordinary, boring, everyday lives, you find Jesus. Jesus reveals his glory week in and week out, day in and day out through ordinary, unimpressive, even boring means—words and water and bread and wine. God doesn’t promise extravagance. He promises “daily bread.” Yet God still “graciously gives us all things.” (Romans 8:32) In fact, no detail of our lives is too unimportant to escape his notice. While you may not see God do something obviously extraordinary, he is still at work in the little details of your life, revealing his extraordinary glory through the callings of others. We might think they’re ordinary, but God graciously makes them extraordinary. He uses fathers and mothers to bless their children by providing clothing and food and shelter, an education and a connection to their Savior by regularly bringing them to worship and having devotions at home. He uses sons and daughters to bless their aging parents with care and concern and respect. He uses husbands and wives to bless one another with loving companionship, sexual contentment, and even kids. He uses pastors and teachers to help us grow closer to him. He uses workers to produce useful and reliable products or provide necessary services, each in their own way helping us put food on our tables, clothes on our backs, and roofs over our heads. All such ordinary things, such ordinary callings, yet all used by God to bless his people day in and day out with his extraordinary glory. Above all, Jesus helps you by forgiving your sin. Jesus helps you by dying to reconcile you with God. Jesus helps you by rising from the dead to open heaven for you. That’s why Jesus said, “My time has not yet come.” That time would come on the cross—and even in death, God helped us by revealing his extraordinary glory to save us. Jesus did not come to fix every little problem. Instead he came to take away our biggest problem. Yet in dying, he takes care of everything else. “He who did not spare his own Son, but gave him up for us all—how will he not also, along with him, graciously give us all things?” (Romans 8:32) That’s a good reminder for us when the wine runs out in our lives. Even then God guides all things for our eternal good. Even suffering or loss God uses to bless us or others with his grace—sometimes in ways we won’t realize until we get to heaven. We have a God who cares enough to help us when we face the ordinary and the extraordinary in our lives. The Resolution to Our Suffering – “Lord, why did you allow this to happen to me?” “How can you be a loving God and allow such atrocities to occur?” Do you know someone who is angry at God because of suffering, death, or tragedy? Have you ever asked questions like that? Martin Luther once wrote, “A theologian of glory calls evil good and good evil. 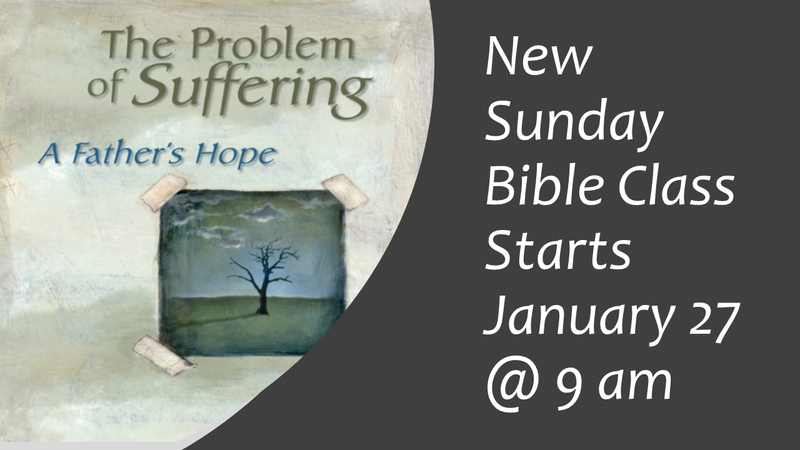 A theologian of the cross calls the thing what it actually is.” Starting this Sunday @ 9 am, we will take a closer look at the problem of suffering—how our world addresses that problem and ultimately how God alone resolves suffering in our lives. A helpful resource we will be using is The Problem of Suffering: A Father’s Hope by Dr. Gregory Schulz (Available from Amazon and Concordia Publishing House). True and Reasonable – How do I handle objections to my faith? What can I say when people reject the Bible or Jesus or my Christian faith? In a world growing increasingly hostile to Biblical Christianity, these are questions with which we all have to wrestle. Young people today are on the front lines of this struggle facing objections to what and whom they believe. So what can we do? 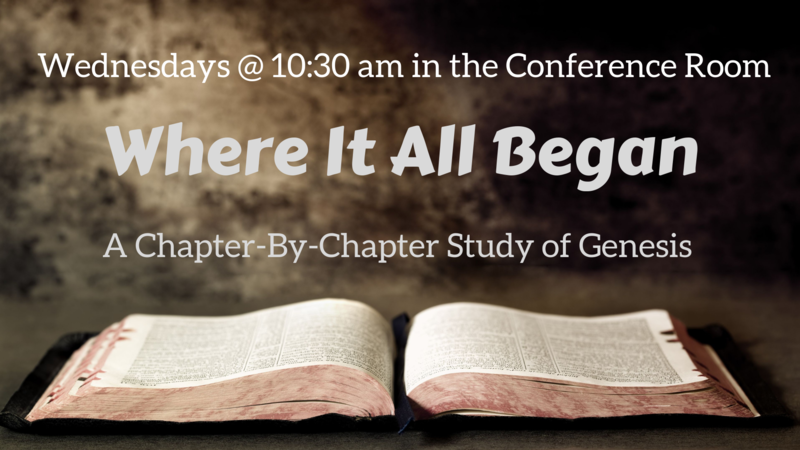 Starting this Sunday @ 9 am in ACTS class, we will learn how to use a “toolbox” of basic Scriptural truths that can help us face objections to our faith. All 6th-12th graders are encouraged to attend! Quarterly Voters' Meeting will take place after worship this Sunday. All voting members are strongly encouraged to attend! The Church Picnic is planned for Sunday, February 10 @ Eastmonte Park, Cal Ripken Pavilion (830 Magnolia Drive, Altamonte Springs). Worship begins at 10 am with a potluck lunch and games to follow. If you are attending, please sign your name and an entrée on the sign-up in the entryway. Looking to Start a Team – Would you be interested in working with others to brainstorm, develop, plan, and promote ways to get the good news of Jesus out into our communities personally and as a congregation? Would you like to learn how to talk about your Savior? Would you like to be equipped to let the Light of Christ shine in your life and then help us equip others in our congregation to let that Light of Christ shine in their lives? Building on our Christmas outreach and evangelism efforts, we are forming a team of interested individuals—men, women, teens, adults—with a focus on getting the Light of Christ out into our local neighborhoods and communities. This team will plan, promote, and pursue ways for us as a congregation and as individual Christians to reach out with Christ into our neighborhoods and communities. In addition to planning and promoting outreach, we will offer training opportunities open to all of our members to learn more about sharing their faith and letting their lights shine. This team will meet monthly either in person or via video conference. If you are interested, please reply to this e-mail or contact Pastor. Vietnam-Hmong Outreach - The Light of the World is presenting amazing opportunities to our church body to take the gospel into Vietnam. Informational booklets can be found in the entryway. Videos and further information can be found on WELS.net! If you could would like to donate towards these mission efforts, please use the envelopes in the booklets or donate online @ WELS.net/Serving-Others/Missions/Asia/Vietnam.